Less than a mile from Pixar Studios in Emeryville, California, there’s a calming stretch of beach that animator Alan Barillaro visits often. Three years ago, while walking along that Pacific shore, Barillaro came on an idea that has become the latest great Pixar work. It’s “Piper,” the short film showing before “Finding Dory,” which is out Friday. At the time Barillaro, 41, was heavily involved in what Pixar calls a “Tools” session. It’s when animators basically spend time messing around with the company’s proprietary software to see the ways they can implement new tools for their projects. Barillaro didn’t get into specifics of the session when he talked to Business Insider recently, but Pixar CCO John Lassetter wasn’t that into it anyway. But the character Barillaro created for the test had promise. Starting out with the crow from “Brave,” Barillaro transformed that into one of the tiny sandpiper birds he saw constantly on his trips to the beach running back and forth from the tide. With the encouragement of Lasseter and “Finding Dory” director Andrew Stanton, Barillaro found himself working on storyboards about the sandpiper. Barillaro, who has been at Pixar since he was 18, has worked on almost every level at the studio — animator on “Monsters, Inc.,” supervising animator on “The Incredibles” and “Brave” — but having never directed before, he was searching for advice. “I assumed with directing, I would get the secrets of how to do it from Andrew and John, the tools they use to guide themselves,” but then he realised something else about those filmmakers’ talent. “What I found I was lacking was how personal they take their work and being honest in what you’re trying to say,” Barillaro said. He spent a year with storyboard artists trying to formulate his sandpiper, which he named Piper. What he came up with was a baby sandpiper who is no longer being fed by his mother, so he has to overcome his fear of the water to get his own meals. 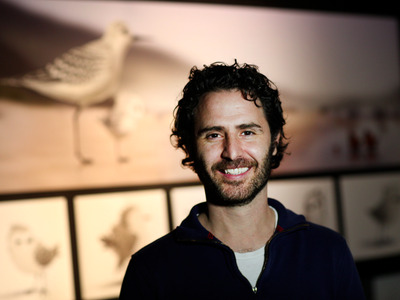 Barillaro said it was working with Stanton as animation supervisor on “WALL-E” that made him understand how to make a compelling and personal six-minute short about a sandpiper and his mother with absolutely zero dialogue. 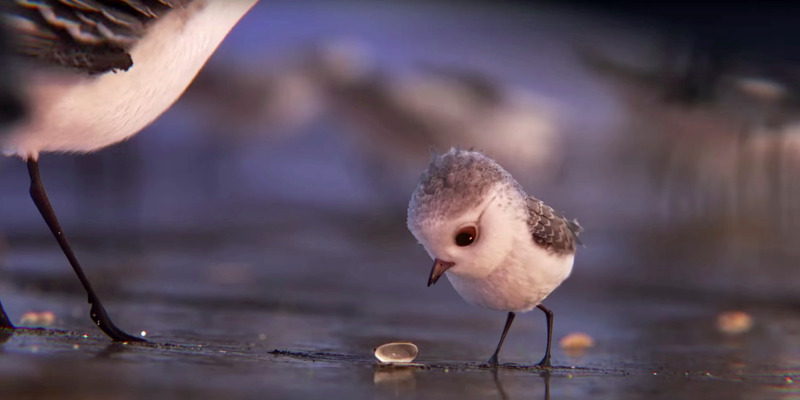 It took just over a year and a half to do the animation for “Piper,” which included close to 7 million feathers created for the sandpipers and billions of sand pebbles to make up the beach. “At some point you just realise numbers haven’t been created to count how many we did,” Barillaro said of the sand pebbles. But seeing as “Piper” was born from a Tools session, Barillaro wanted to push the animation technology at Pixar as far as he could. 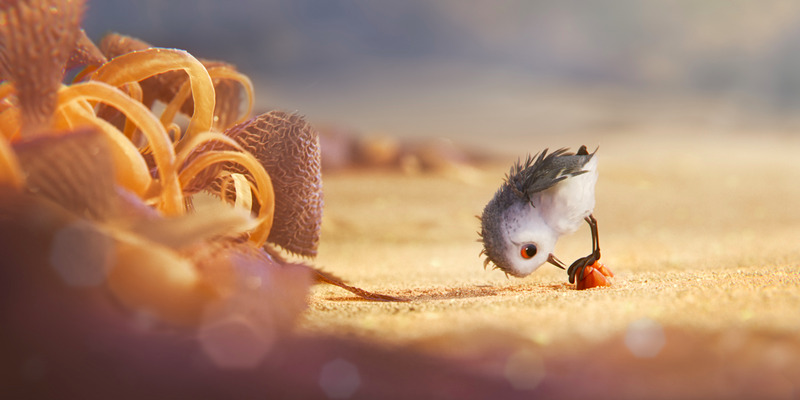 The short uses the new render software that Stanton also used in “Finding Dory,” and to get the sandpiper feathers and the rushing tide to look right, animators who totaled up to 40 did almost everything by hand, as opposed to having the software create simulations. “We pushed the rendering power to its limit in this film,” Barillaro said. But with all Pixar projects, short or long, focus on the story is paramount. And Barillaro’s biggest challenge was finding a way to have Piper and his mother carry a conversation without it looking too human. Dialogue that was written by Barillaro guided the team initially, but by year three of production, they had to figure out how to make Piper and his mum communicate on their own. Barillaro finally handed off “Piper” a few weeks ago — literally hours before the deadline to have the short attached to “Finding Dory” when it plays in theatres. He admits it’s a bittersweet feeling. “It’s the moment you feel you know how to do it,” he said. But he also knows that at Pixar, there’s always something else to tackle. “You come back to the office the next day and after all those years being a bird, now you have to be a monster or a fish,” he said.